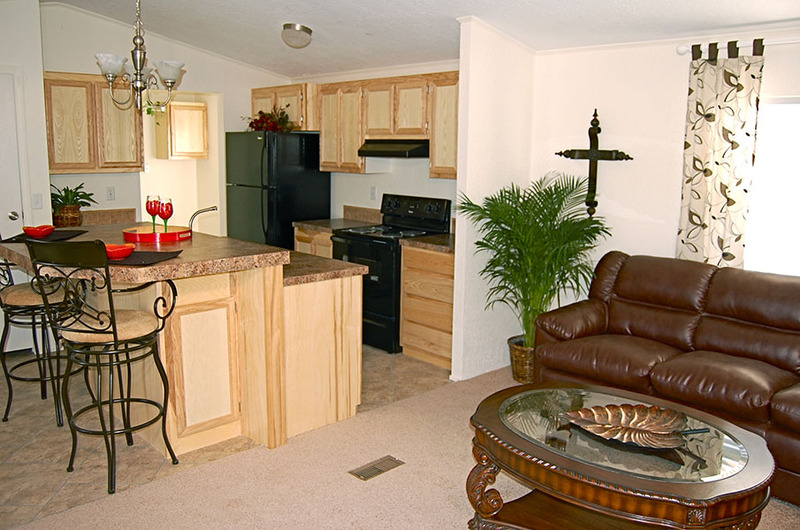 Looking for a single section mobile home that offers more than 1,000 square feet? Look no further than our gorgeous, high quality SW-270. This single section floorplan boasts 1,056 square feet and is a perfect option for couple, singles, and small families. Find you perfect mobile home community or a nice plot of land and enjoy living in a home that promises you comfort and peace. One of the best things about this floorplan is how it offers you a spacious layout in the bathroom and master bedroom. At 12’6″x15′, the master bedroom offers plenty of space for a king sized bed, chest of drawers, and more, without cramping your style. 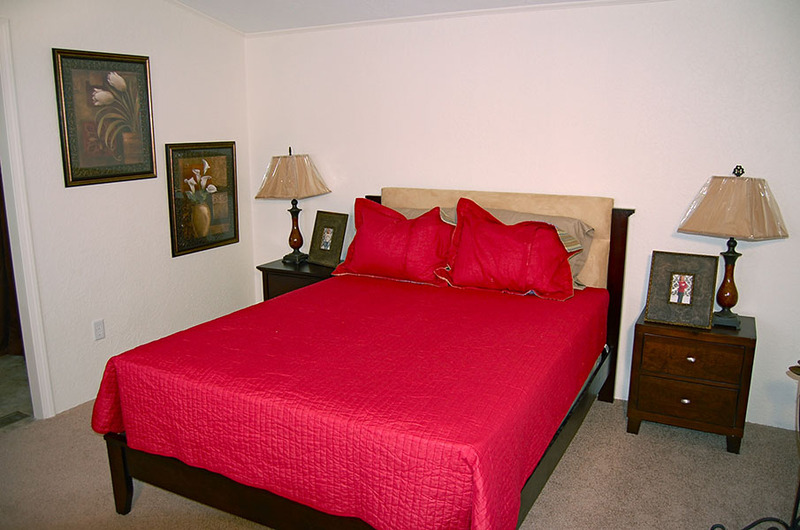 In the bathroom you will find a linen closet, soaker tub, and toilet separate from the dressing area. You’re also sure to love the giant walk-in closet that will fit his and her’s clothing in it! Whether you plan to make this space a kid’s room or plan to use it as a guest bedroom, you’ll appreciate having a full bathroom located next to this 12’6″x15′ bedroom. 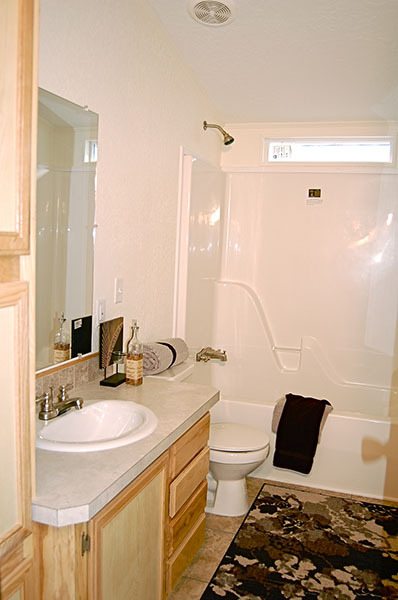 In your second bathroom there is a linen closet for storage and a shower/tub. This bedroom is so spacious you could have two kids share it. If you enjoy cooking then you will love this kitchen. It is truly the heart of the home and sure to make even the least culinarily inclined person want to at least give cooking a try. It has a large dining room located off of it that measures 10’x6’6″ and also features a counter overhang where you can have meals bar style. A large pantry stores your dry goods and the stove and refrigerator are located close to each other to make cooking easy. You’ll also appreciate the dishwasher for simple clean up and durable flooring that takes a beating, yet lasts for years. If you’re interested in learning more about our selection of single section mobile homes for sale, contact us. We can answer any questions you have and help you on your search for your dream home. We’re delighted to serve families in Texas, New Mexico, and Oklahoma.